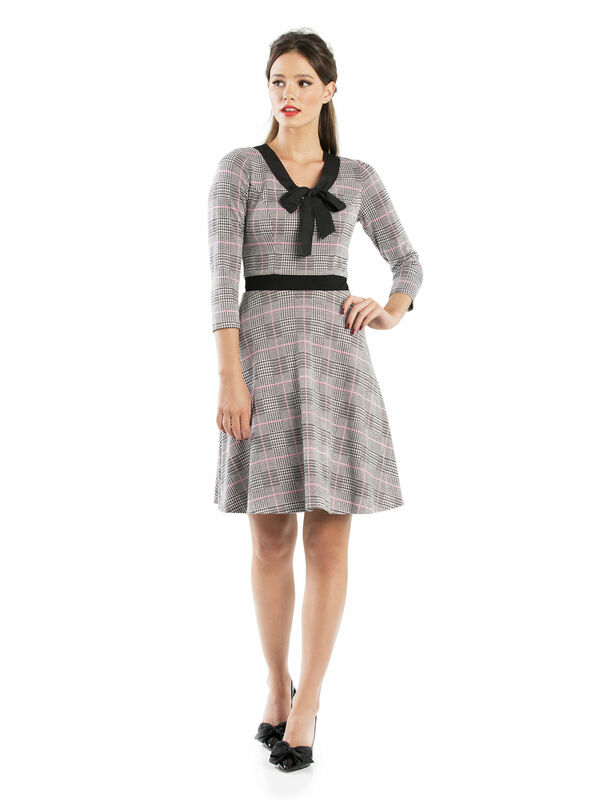 Miss Smith Dress https://www.review-australia.com/au/miss-smith-dress-black/RE19DR471.REBLK055.html There's nothing ordinary about the Miss Smith Dress, which pairs a black-and-white houndstooth pattern with candy pink lines. 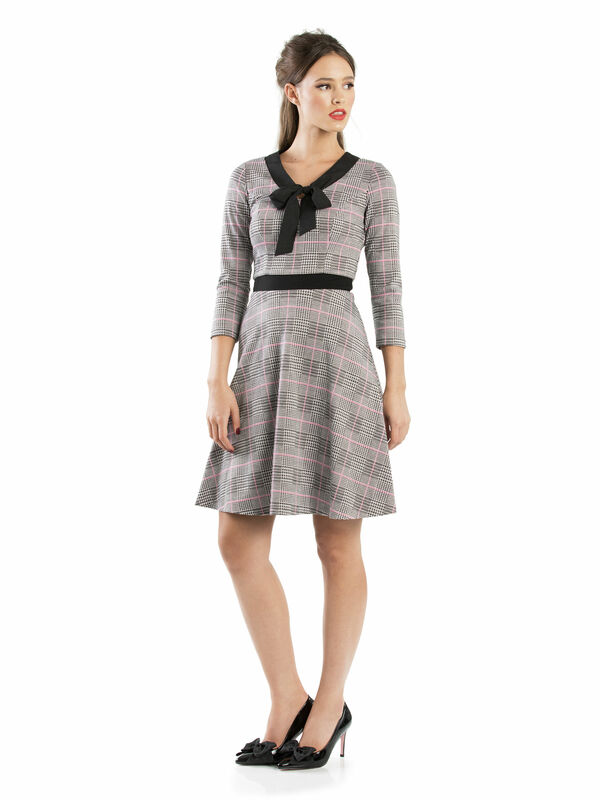 A black collar with a bow at the chest, and a concealed zipper at the back makes this versatile knee-length dress a pleasing spin on a timeless look. 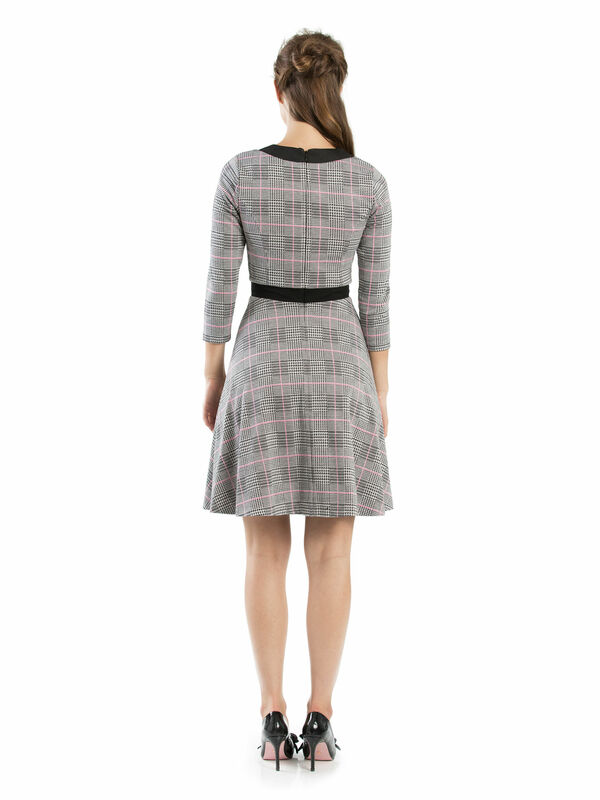 Miss Smith Dress is rated 5.0 out of 5 by 2. Rated 5 out of 5 by Emmie Lou from Very charming! This is my first Review dress and I love it! I bought it for a job interview. It is very classic and modest yet has a bit of personality too (I often feel like I am playing dress up in interview clothes but I felt like myself in this one.) It fit beautifully and the fabric is very soft and high quality. The bow always sits nicely no matter how slap dash you tie it too which is a plus!